Rewind to 2013: Dusty and exhausted, I hiked into my first re-supply stop on the John Muir Trail. I was dreaming of finding a burger- anything besides cold instant oatmeal and cliff bars. I picked up my supply box, flung off my pack and then collapsed in a heap outside the general store of Red’s Meadow campground in Mammoth Lakes. Fast forward: I met a group of similarly grimy backpackers from the Bay who happened to also land in the little section of the Venn Diagram between Lindy Hop Dancers and Backpackers… and that is how I met Simon! I camped out with their group for a couple nights and we all danced to a symphony of rock instruments in a forest by a lake at 10,000 feet above sea level. Years later when he asked me to photograph his wedding, I knew it was going to be fun and that his fiancee would have to be a special lady. It was true. Amelia is a special lady with a beautifully adventurous spirit. 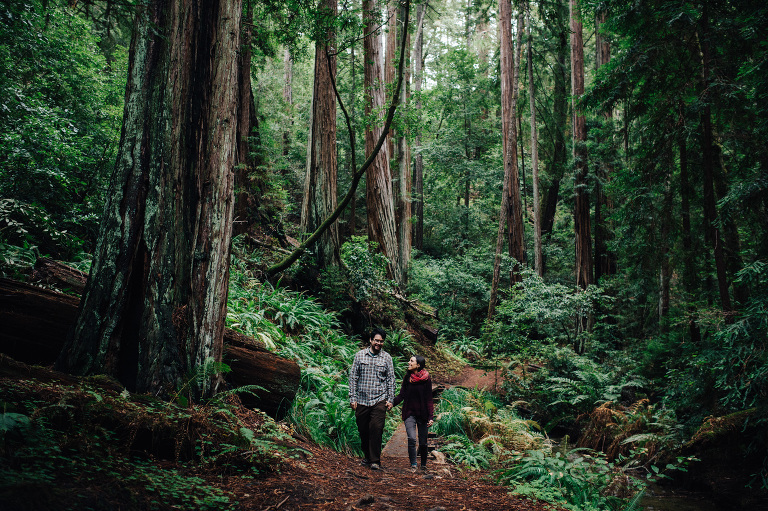 This is the visual story of their engagement session– a ten-mile hike on the Berry Creek Falls Loop in Big Basin Redwoods State Park. 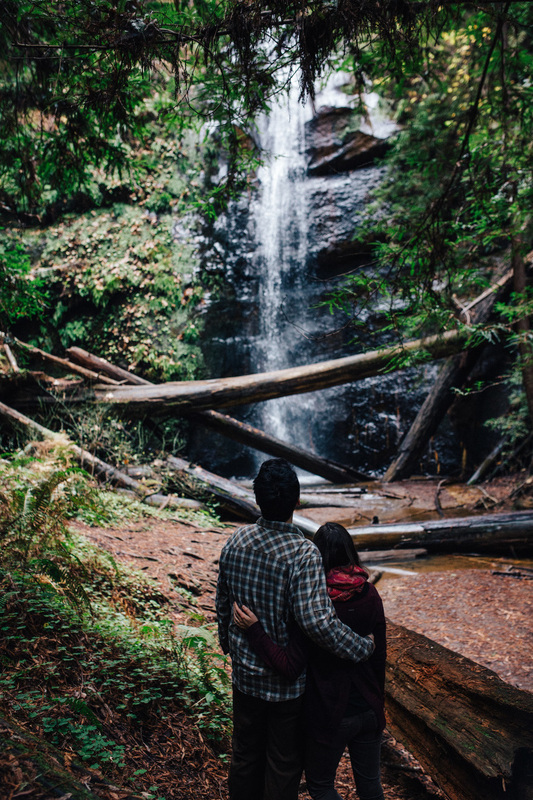 Amelia and Simon are a perfectly adventurous couple who are planning to travel around for a few months in their converted van for their honeymoon. 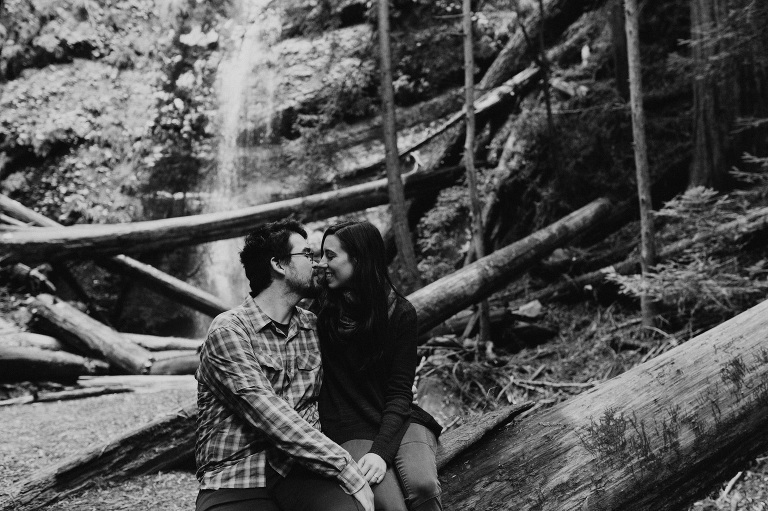 I am so excited for them and for their upcoming wedding in Woodside, California! Lookin’ for more neat stuff? 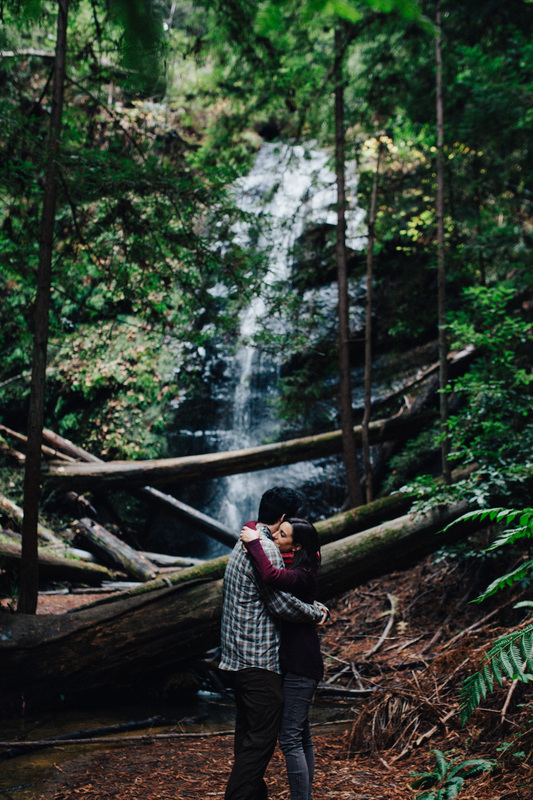 Check out this neat engagement shoot!